The SolutionWare tool set automates various tasks involved in setting up a design libraries: functional verification, timing and power characterization, model generation, validation and documentation. Complexity of the cells could range from standard cells to various types of IO's and memories, which all are described using a simple description language, ACDL. Electrical information is provided through a SPICE netlist, which describes the connectivity of various electrical components and parasitics making up the cell. These two inputs are specific to each cell. The tools determine all the relevant electrical parameters, generate stimuli for measuring them, carry out the actual measurement using Spice and and report the results in various formats like NLDM, CCS and ECSM. It interfaces to several different spice simulators, like Hspice, Spectre, Smartspice, Eldo, Hsim etc.. For memories, use of a fast simulator like Hsim or Ultrasim is necessary. Q = !RB ? 0 : rising(C) ? D : "p"
which is a concise specification of flip-flop behavior. More complex cells can be described in similar manner, one equation for each output. Memory cells have their own special format, similar to ACDL, but read/write and address modes need to be described. Synchronous rams with all sorts of controls, single or multiple ports, of various sizes and depths can be modeled easily. LTI is unique in the way we model cells, by requiring the user to enter the function. Almost all of our competitors try to analyze the circuit connectivity and figure out what the function is. This approach may work well for simple combinational cells, but difficult to extend to complex cells like flops with clock enables, special cells like semi-synchronous cells etc.. We have seen cases where such recognition software failed even for a NAND gate. If the logic is not recognized correctly, there may not be a way of correcting it. On the other hand, with ACDL approach, we can even model memories, and compare functions for every generated model. Unlike most EDA tools, LTI's tools do not have graphical interfaces. This is mainly due to very little need for interactive use during modeling and creation. Almost all the inputs which can be provided by an intelligent user are automatically generated, thus eliminating the need for a graphical interface. Instead, we provide a flow manager, makelib which requires a policy file, .libcharrc, which contains a description of the user preferences and of the environment under which the tools will be working. In addition, a list of cells which need to be processed or modeled and their associated spice data is also required as input. As the contents of library change, only the data associated with new cells are generated. If primary inputs for the cell change, like its spice netlist, all of its associated data are regenerated. 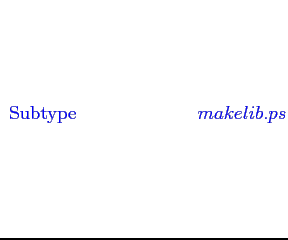 and MakeLib will step through all the stages of verification, analysis, characterization, modeling and model verification as may be necessary, and it will generate a tested and verified library, compiled and ready to use. If the same command is issued again, MakeLib starts a concurrent job for the same goal. There are no special steps necessary for utilizing multiple machines and cpus other than making sure that there are enough licenses available and file systems are consistent across machines. Using the same list of cells and the same configuration file, as many copies of MakeLib can be run concurrently as the number of available licenses. MakeLib distributes the jobs among all available machines. 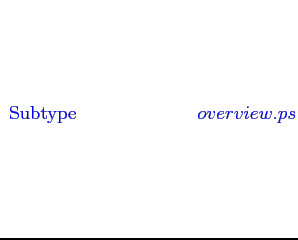 The setup file .libcharrc is interpreted by perl. This allows the customization of any parameter or option in setup file at run time for different cells, different PVT corners and for different stages of library creation and modeling. The default setup file is self documenting, and lists all available options. In this file, type of simulator to use, how to interface to SPICE models, how to execute SPICE, thresholds, supplies, characterization corners, min and max load range for each cell, maximum rise and fall times, and table information for characterization are specified. which can be used to verify CCS and ECSM models.